This well-supported club runs a range of events catering for all ages and levels. Juniors are welcome to ride with the seniors at the popular Monday night racing, where they are coached throughout the race. 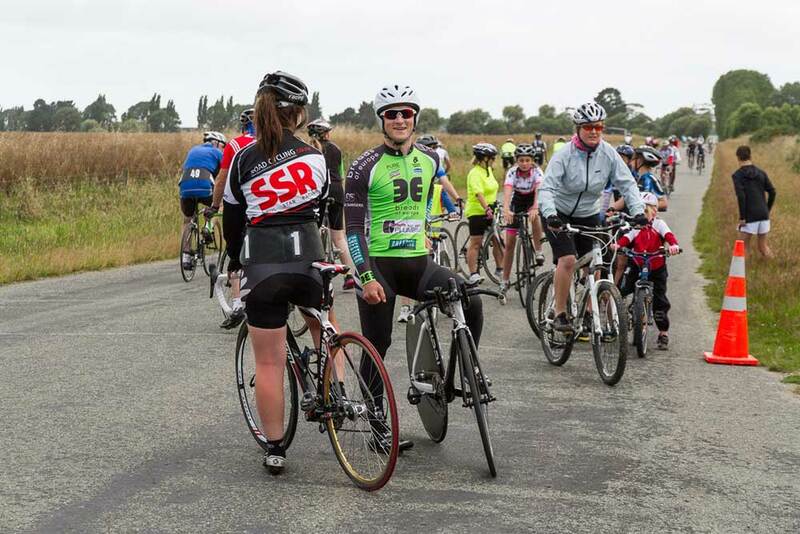 Some great cyclists have emerged from the club, including Heath Blackgrove who is a professional rider in America at present, Dylan Kennett, a medalist at recent Olympics and Commonwealth Games, and New Zealand representative Holly Edmondston. As all clubs do, sharing of old bicycles, donating clothes and shoes is a regular procedure with new cyclists, especially for young ones who quickly grow out of a new bike and shoes. Monday nights - This is a short and fast 15 km race, averaging 40 riders per race. It's handicapped, with all abilities and bikes are catered for. Riders can chart their progress and set goals vying for ribbons. Others come along for a social outing. A pub meeting at the Waimate Hotel follows each race. Tuesday mornings - These are social rides, with the route selected to suit the riders on the day. Cyclists meet at 10am outside the Community Centre (former Salvation Army Hall) on Queen Street. The outing often includes a stop at a local cafe. Other - Friday nights - Track racing for juniors at the velodrome in Victorial Park (when volunteers are available).